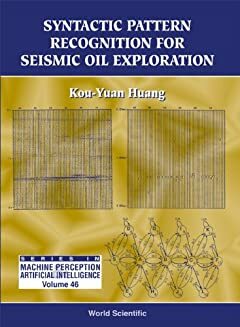 The use of pattern recognition has become more and more important in seismic oil exploration. Interpreting a large volume of seismic data is a challenging problem. Seismic reflection data in the one-shot seismogram and stacked seismogram may contain some structural information from the response of the subsurface. Syntactic/structural pattern recognition techniques can recognize the structural seismic patterns and improve seismic interpretations. The syntactic analysis methods include: (1) the error-correcting finite-state parsing; (2) the modified error-correcting Earley’s parsing; (3) the parsing using the match primitive measure; (4) the Levenshtein distance computation; (5) the likelihood ratio test; (6) the error-correcting tree automata; and (7) a hierarchical system. Syntactic seismic pattern recognition can be one of the milestones of a geophysical intelligent interpretation system. The syntactic methods in this book can be applied to other areas, such as the medical diagnosis system. The work should be of interest to geophysicists, computer scientists and electrical engineers.